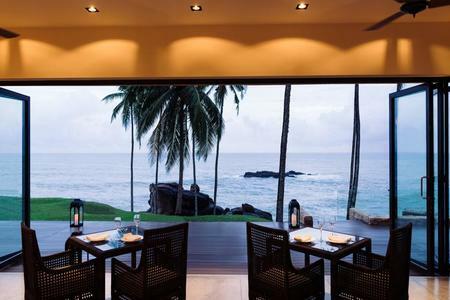 Featuring a mesmerising secluded beachfront, Anantara Peace Haven Tangalle Resort is located along Sri Lanka’s southern coast and set amidst a 21-acre coconut plantation. 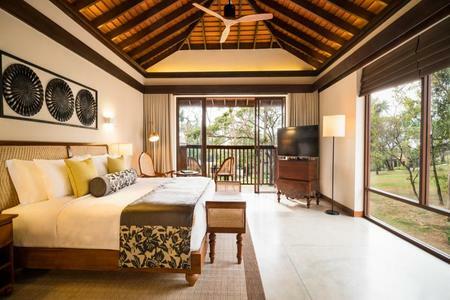 Anantara Peace Haven Tangalle Resort is a 30-minute drive from Mulkirigala Rock Temple and 2-hour drive from Yala National Park providing guests with the opportunity to see Elephants and Leopards. The onsite travel an array of cultural and marine activities including surfing, cycling, wildlife safaris and blue whale watching. 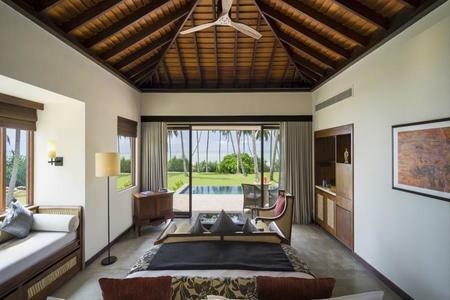 Anantara offers seven different room settings: Premier Beach Access Room, Premier Ocean View Room, Deluxe Ocean View Room, Garden Pool Villa, Ocean View Pool Villa, Beach Pool Villa and Two Bedroom Garden Pool Villa. All rooms have a private balcony or terrace, with garden or ocean views. Inside, elegant interiors feature hand woven custom made furnishings, luxury bathrooms and contemporary amenities, including a private wine humidor and flat screen television with HDMI multimedia connectivity. 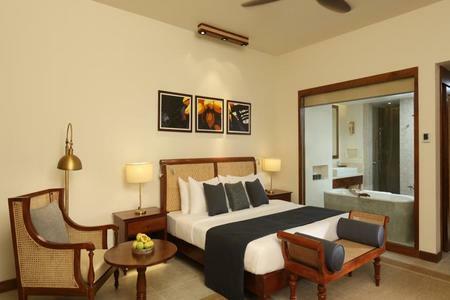 The two bedroom Garden Pool Villa is the largest accommodation (171 sq mtr), includes a Master Bedroom and a second bedroom with twin beds, both with private bathrooms with oval bathtubs. It has elegant lounge and dining spaces inside and a spacious poolside deck with dining furniture, also a convenient butler's pantry. 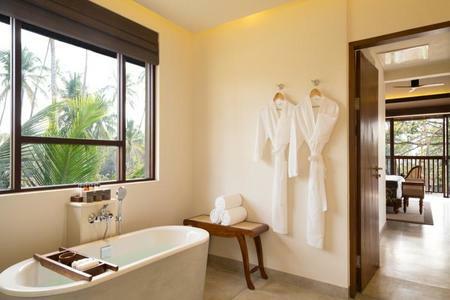 Beach Pool Villas (64 sq mtr) are positioned along the shoreline and have a private plunge pool and sunbathing deck, indoor lounge area and luxury bathrooms. 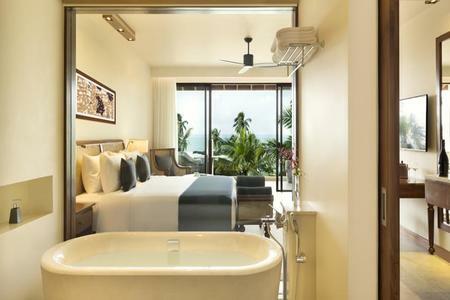 The Ocean View Pool Villas (64 sq mtr) open into the private deck and private plunge pool and the windows offer a very close sea view and sea breeze, they also have a private plunge pool and sunbathing deck, indoor lounge area and luxury bathrooms. Garden Pool Villas (64 sq mtr) are located in the garden area and have a private plunge pool and sunbathing deck, indoor lounge area and luxury bathrooms. The Deluxe Ocean View Rooms (49 sq mtr) have a spacious balcony with stunning ocean views and a luxury bathroom (interconnecting rooms are available). 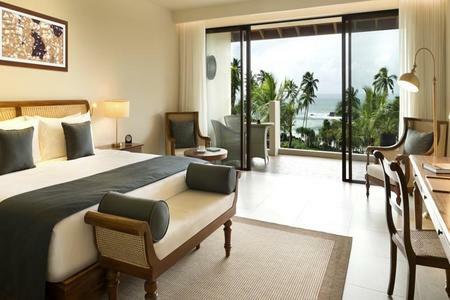 Premier Ocean View Rooms (45 sq mtr) have a spacious balcony with stunning ocean views and a luxury bathroom (interconnecting rooms are available). The Premier Beach Access Rooms (45 sq mtr) have a spacious balcony with lush garden views and a luxury bathroom (interconnecting rooms are available). 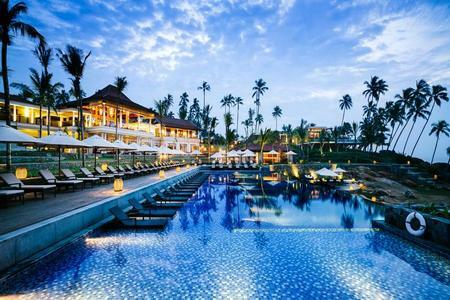 Anantara Tangalle offers six different food and beverage options: Journeys is the all-day dining option of International cuisine overlooking the pool and Indian Ocean. Watch Anantara’s talented chefs cook in the open kitchen, presented in a la carte menu and buffet style. Il Mare is the Italian restaurant, open for dinners, placed on a cliff edge facing the ocean. Verele is the Teppanyaki inspired Beachside restaurant, with live cooking performances open all afternoon. El Vino is a Mediterranean sophisticated dinner option where Chef’s creations are well paired with world-class wines. The Poolside Bar offers great drinks all day long and light snacks for a quick bite. The Lobby Lounge offers a Traditional High Tea with a bespoke selection of Ceylon finest teas. Design by Design is the ultimate dining experience: a Tailor Made private dinner for you. Anantara Tangalle offers an array of off-site excursions from City Tours, Safaris, Whale watching sailing and more. In the property you can enjoy the stunning Pool facing the ocean, the well-equipped Gym with a personal coach on demand, Holistic exercises on the beach or at your private villa, Tennis & Badminton Courts, Bicycles to explore the property, Children’s Club, our famous cooking classes “Spice Spoons” for some flavours to take home and the acclaimed Anantara Spa with exclusive Ayurvedic Treatment Rooms. 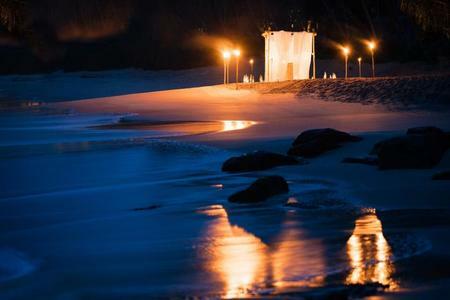 Our tip: Private dining by the beach is a must try and worth every penny!